This article was peer reviewed by Christopher Thomas. Thanks to all of SitePoint’s peer reviewers for making SitePoint content the best it can be! While everyone is concerned about their application’s security, few take it seriously and take the plunge. The first thing you’ll notice when learning about this is that two factor authentication (2FA) is the go-to solution as a first step. Although there have been some serious problems with using text messages as a second factor, it’s definitely safer than a plain username and password combination, given that many users tend to use popular and easy to guess passwords for critical services such as payments, chat, emails, etc. In this article, we’re going to build two factor authentication into a Laravel application using Twilio SMS as the second factor. User visits the login page. He types in an email and a password. We send a verification code using the phone number. User must type in the received code. If the code is correct, we log them in. Otherwise, we give them another chance to try logging in. The final demo application is up on GitHub. I assume you have your development environment already set up. If not, we recommend Homestead Improved for an easy start. Go ahead and create a new Laravel project using the Laravel installer or via Composer. Edit the .env file and add your database credentials. 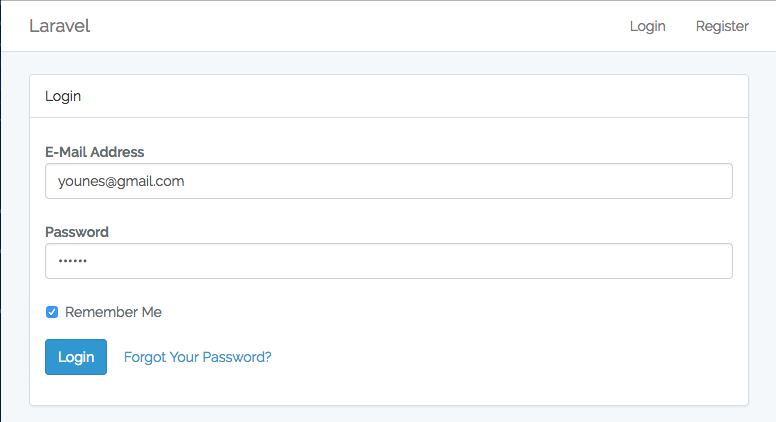 Login, register and reset password views and controllers. Go ahead and run php artisan make:auth from the command line. Update the users migration class and add a country_code and phone fields. I limited the verification code to four digits, but you can make it harder to guess by increasing it. We will get back to this point later. Let’s run php artisan migrate to create our database. There’s nothing special here, we just added the users -> tokens relation and added the getPhoneNumber helper method to get the full phone number of a user. a constructor to set the code property on creation. a generateCode method to generate random digits depending on the code length parameter. the isExpired method to see if the link has expired using the EXPIRATION_TIME constant. the isValid method to see if the link is neither expired nor used. The register view file should be updated to include a country code and a phone field. Then, we create a new view for the user to type the verification code in. The errors.blade.php partial will print the list of validation errors. Instead of creating new controllers, why not reuse the auth controllers? There isn’t much to add, after all! The RegisterController@register method is called when the user posts the form, and if you open the file you’ll find that it calls a registered method after the user has been created. We also need to update the request validation and make the country code and phone fields required. Now we need to update the LoginController and override the login method. "Unable to send verification code"
After validating the request, we try to retrieve a user using the email and password. If the user exists, we create a new token for this user, then we send the code, set the necessary session details, and redirect to the code page. Ooh wait! We didn’t define a sendCode method inside the Token model? Before sending the code to the user via SMS, we need to configure Twilio for the job. We need to create a new trial account. 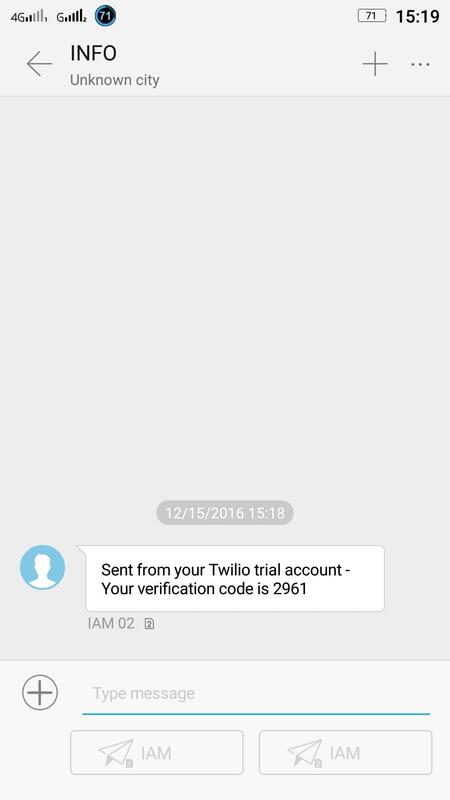 After that, go to the Twilio Console page and copy your account ID and auth token. The last part is to create a new phone number for sending SMSes. Go to the Console’s Phone Numbers Page and create a new one. Twilio has an official PHP package that we can use. If the current token is not attached to a user, the function will throw an exception. Otherwise, it will try to send them an SMS. This article was a quick introduction to integrating two factor authentication with Twilio with a Laravel application. You can also take this demo further by giving the users the ability to enable and disable two factor authentication, and you may also want to offer a call instead of an SMS! Have you ever implemented 2FA for an application? What are the challenges you’ve faced? Was it a good experience for your users? If you have any question or comments about 2FA or Laravel, you can post them below!